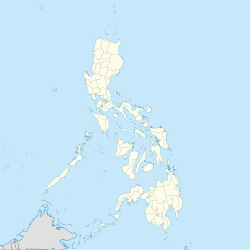 Alubijid, officially the Municipality of Alubijid, is a 4th class municipality in the province of Misamis Oriental, Philippines. According to the 2015 census, it has a population of 29,724 people. The municipality name, "Alubijid", pronounced alubihid due to Spanish accent, is the local term for the hog plum tree. Alubijid, along with El Salvador, was part of Cagayan de Misamis (present-day Cagayan de Oro) when the two entities petitioned to become municipalities in 1933. Alubijid became a separate town in 1940, and El Salvador became one 9 years later. Alubijid is politically subdivided into 16 barangays. In the 2015 census, the population of Alubijid was 29,724 people, with a density of 350 inhabitants per square kilometre or 910 inhabitants per square mile.